These days, although the methods have changed the policies used against law abiding Sikhs, are the same as those used for the past three decades. Where Sikh youth used to be picked up at random and killed in fake encounters, nowadays they are arrested, tortured and locked in prison cells for the best years of their lives. This is the story of Joga Singh from the village Khalchian in Amritsar. Joga Singh was 31 years old, happily settled and farming on his small plot of land, when an Amritsar Special Police Cell raided his house and arrested him. It was June 2010 and the police framed him with the illegal possession of firearms. Amritsar police falsely accused Joga Singh of association with two Sikhs who were already in custody; Sukhdev Singh and Sher Singh and allege to have found ammunition. The legal case progressed at a snails pace and almost six years passed. 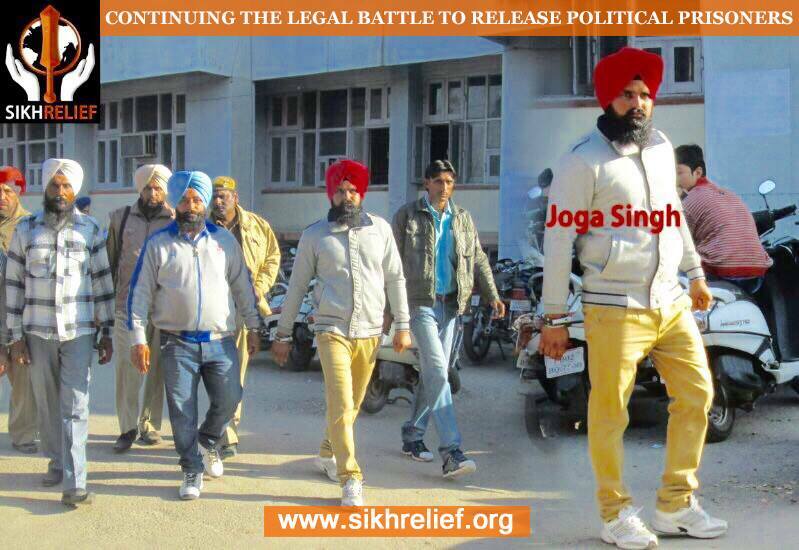 Sikh Relief are committed to securing the release of all our political prisoners and our team member Parminder Singh, attended Joga Singh’s court hearings and visited him in prison until the case reached a conclusion. In September 2015, Joga Singh was released from prison even though the judge convicted him, but due to the length of time he had already served, the sentence was considered to be spent. We are pleased that Joga Singh is now back at home and reunited with his family. Our prayers and thoughts are with those who remain in India’s jails and we steadfastly continue our work to free them all.